Raptors are of course a natural part of the Sonoma Overlook Trail and Montini Preserve. 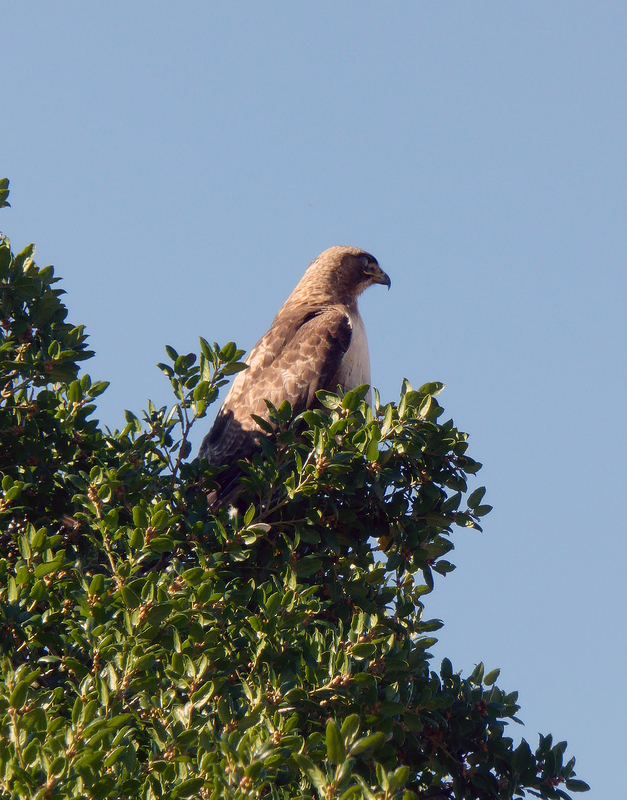 The Red-Tailed Hawk, perhaps our most common raptor (at least the most commonly sighted) can often be seen wheeling above the meadows or perched high in an Oak tree. It is a primary carnivore, meaning that it eats herbivores. Other raptors such as the Great Horned Owl, are secondary carnivores, which means it also eats some species of carnivores (such as the Red-Tailed Hawk). All carnivores, through keeping the populations of herbivores in check, help to create a balanced ecosystem. This role was brought home most famously by what has been called “the lesson of the Kaibab.” This refers to the Kaibab Plateau at the Grand Canyon in Arizona, where President Theodore Roosevelt created the Grand Canyon National Game Preserve. To protect the game species (largely deer), predators such as mountain lions and coyotes were killed in large numbers. The deer population therefore took off and became so large that they damaged the ability of the land to sustain them, and their population crashed to below where it had been in the first place. Thus was painfully learned the lesson of the role of predators in keeping an ecosystem in balance. So the next time you see a hawk with a snake in its claws or a coyote carrying a gopher, know that this is all part of keeping things in balance.